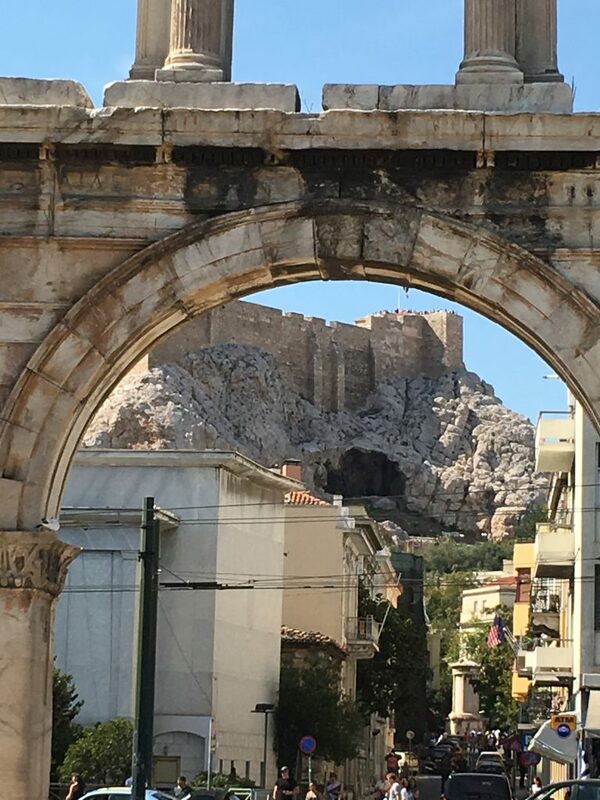 We – my better half & I – went to Athens (Greece) for work & pleasure as well as exploration & enlightenment. 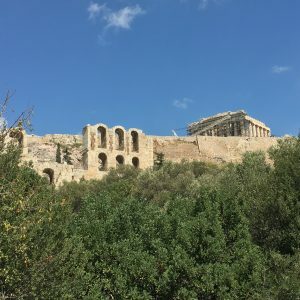 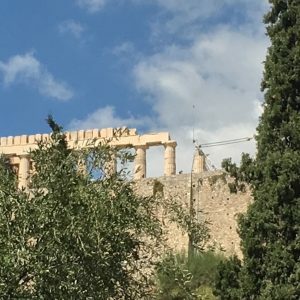 Our adventures – we’re dealing now w/ exploration & (maybe) enlightenment – started w/ approaching the Acropolis of Athens, the centre of classic Greece. 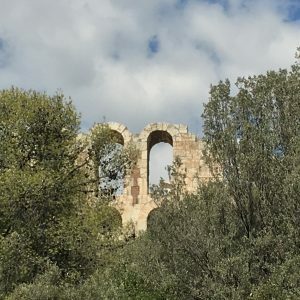 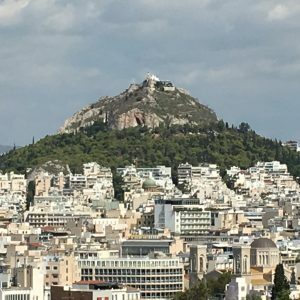 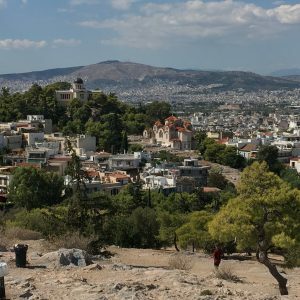 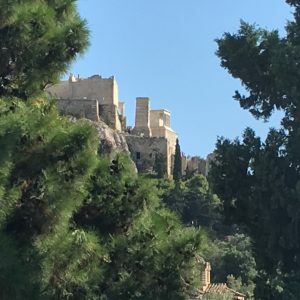 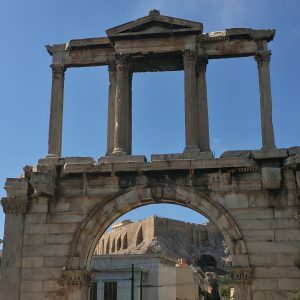 „Approach“ means coming near to the Acropolis, walking around the Acropolis… & taking a lot of photos from afar – however, not entering the Acropolis area, climbing any winding footpaths to the top, exploring all the remains of temples etc. 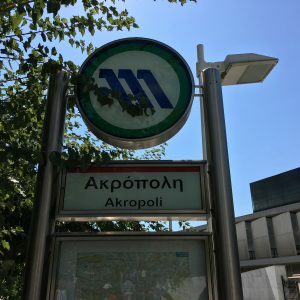 i. e. our next trip. 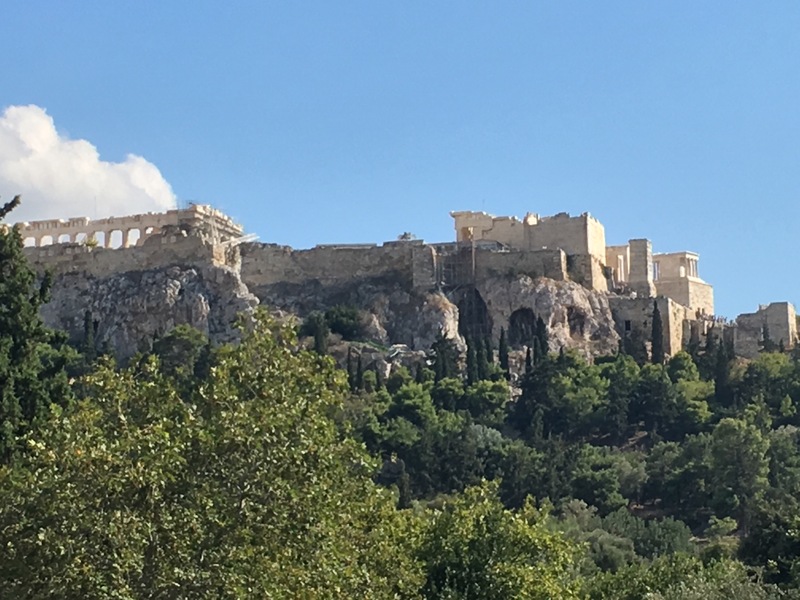 …& resurfaced (almost) vis-à-vis the Acropolis. 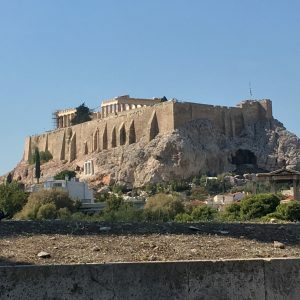 So we started our tour around the Acropolis hill (based on „The Grand Promenade“ (an offspring of the Olympic Games)). 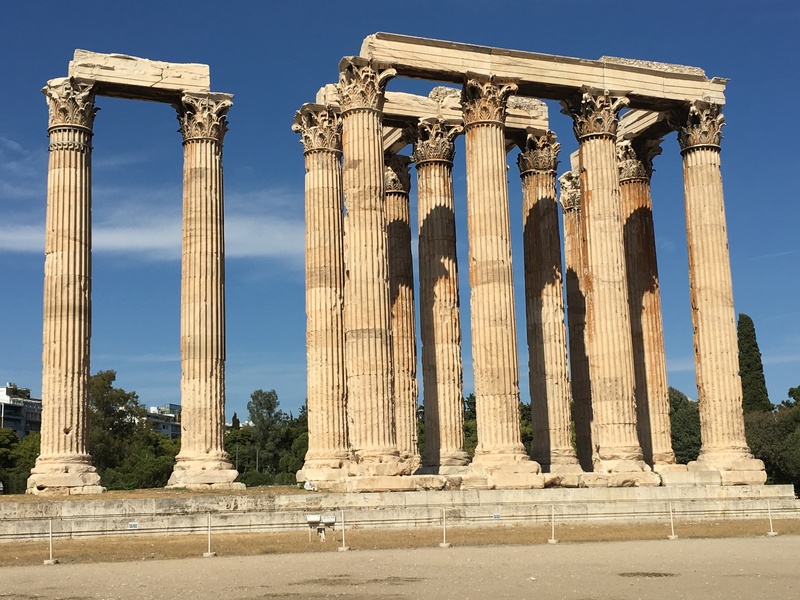 We had an encounter w/ the Temple of Olympian Zeus (only 15 columns of originally 104 survived). 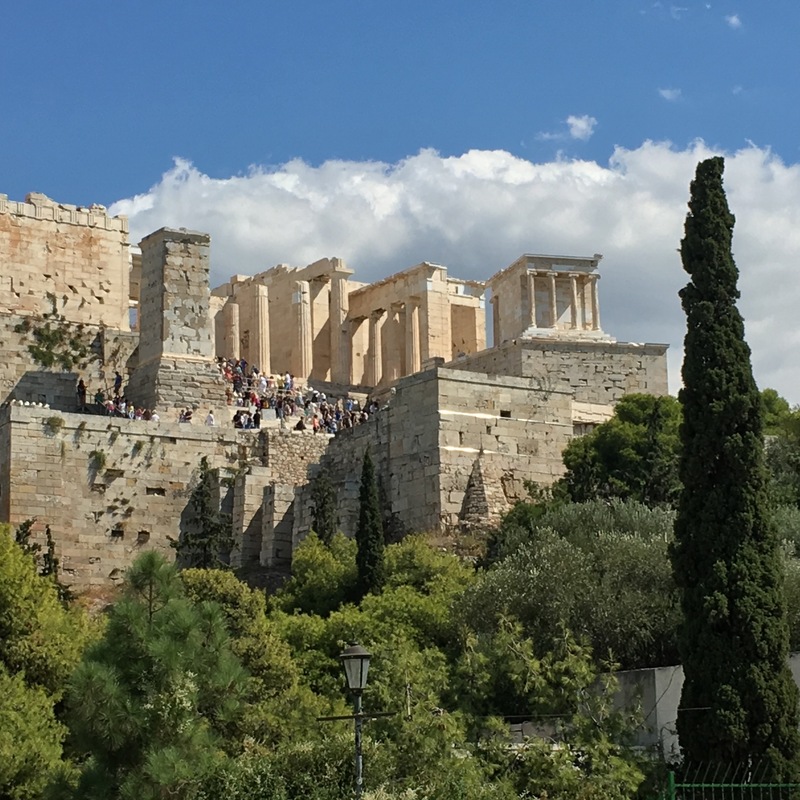 Our travel companion says that it took about 600 years to build the temple – it was pillaged only 200 years later. 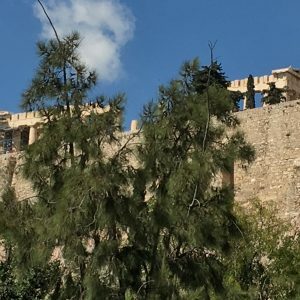 From the temple grounds you have a magnificent view of the Acropolis revealing its original nature of being a fortress. 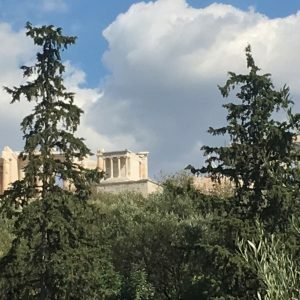 Also from Hadrian’s Arch there is a view: the Acropolis again & some nearby urban life! 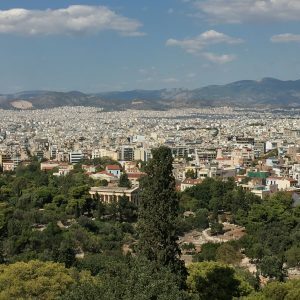 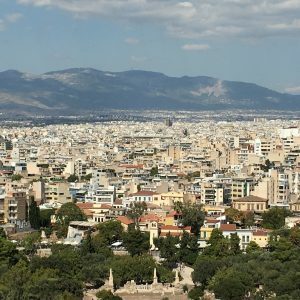 Near the Acropolis main entrance we found a viewpoint: overview of central Athens! 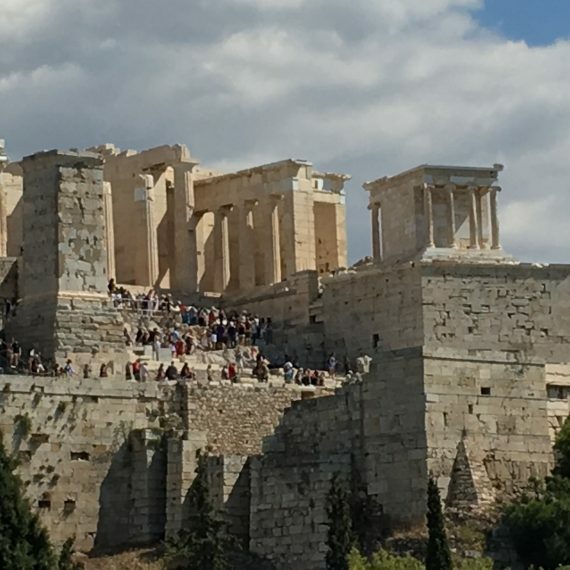 Don’t miss the tourists milling around on the Acropolis! 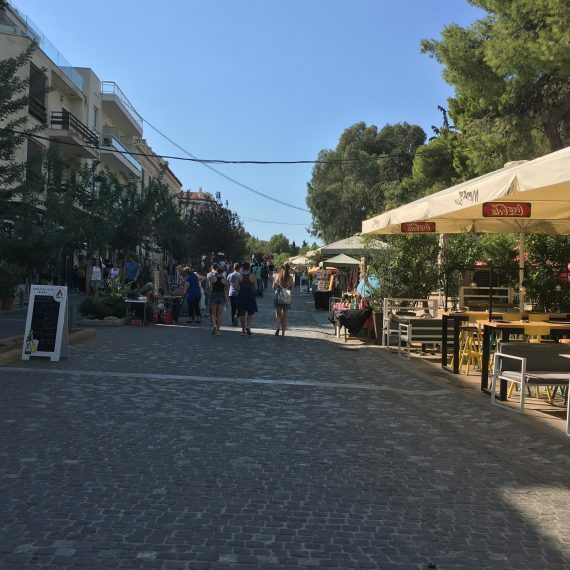 It’s a busy quarter w/ narrow alleyways – all along the Acropolis area. 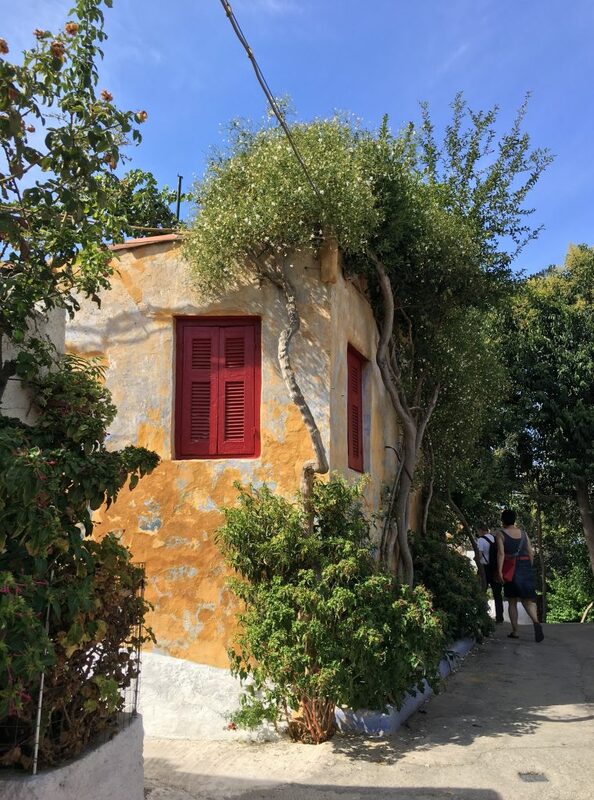 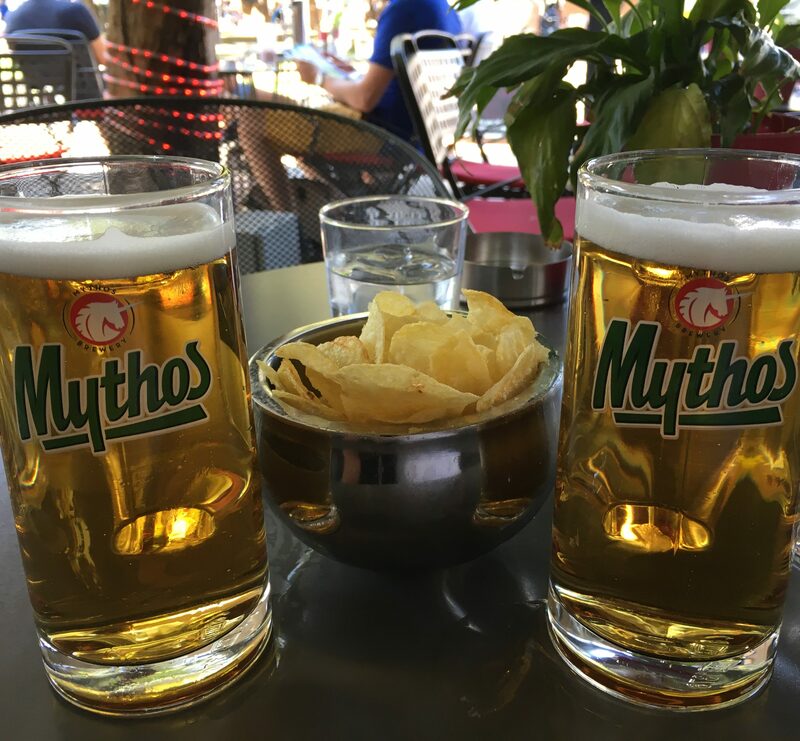 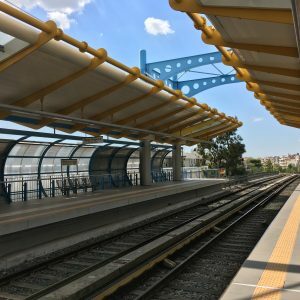 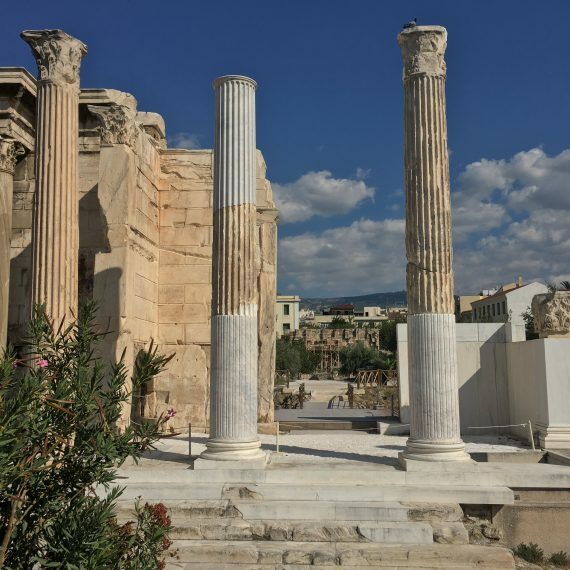 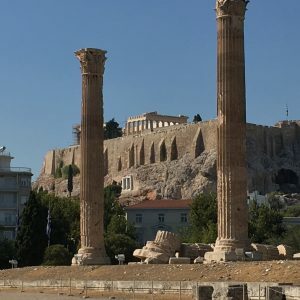 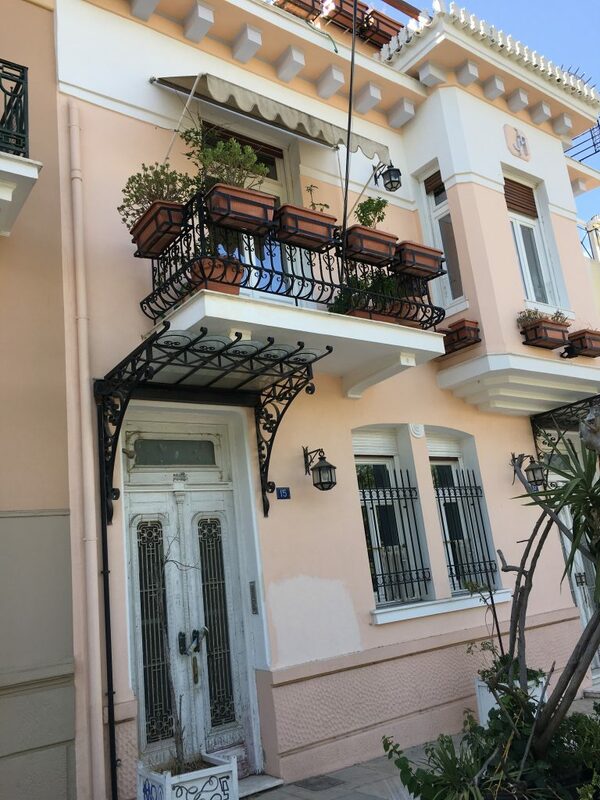 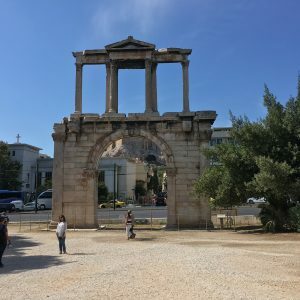 We indulged in sightseeing & history & archeology & ancient Greek mythology – probably sometimes we walked where centuries ago all the famous Greek philosophers had walked for the Acropolis of Athens is one of the birthplaces of our European civilization.